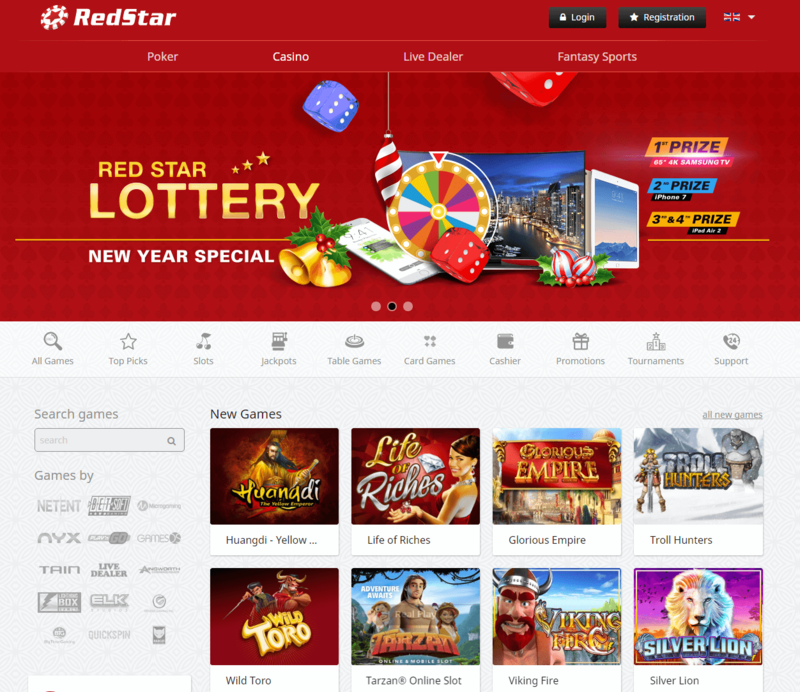 Red Star Casino is the official online casino of the Red Star gaming network. 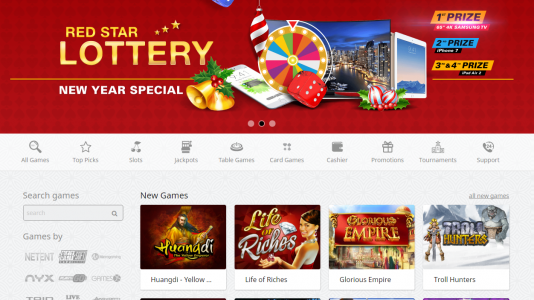 It features online slots and other games from both the Microgaming Quickfire and Play ‘n Go platforms, as well as live table games. 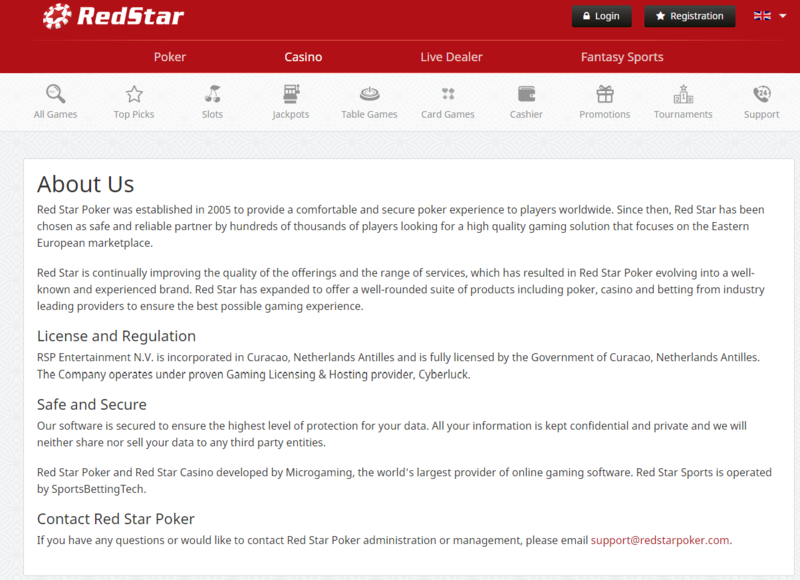 Red Star Casino uses a simple instant-play interface and operates in English, Russian, Spanish and Ukrainian. 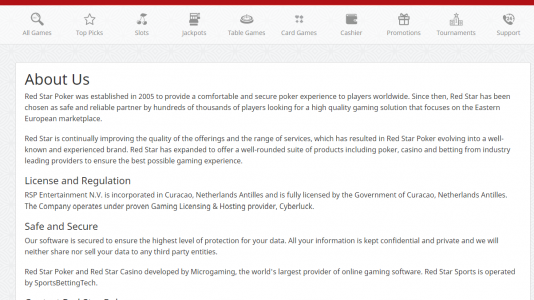 The site holds an online gaming license from the jurisdiction of Curacao. Cashout time: Standard time of withdrawal processing is up to 8 hours on working days and up to 24 hours on weekends and holidays. 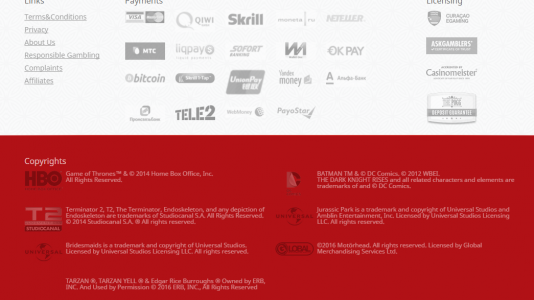 Unfortunately, withdrawals are not processed during the night hours (GMT time). Withdrawals through CC usually take up to 3 – 5 working days after processing request from casino side. 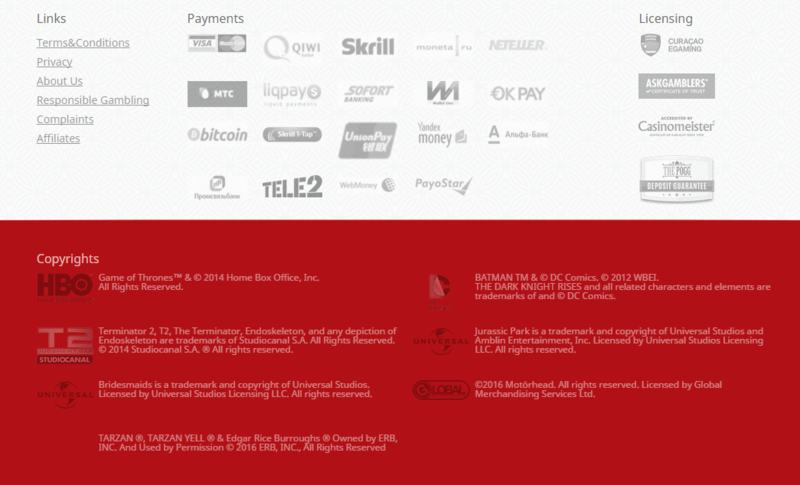 Live chat, email and FAQ support options available!